The Bangkok Metropolitan Administration has decided to allow vendors to sell their merchandises on the footpaths of Khao San road between 4pm-midnight, said Bangkok deputy governor Sakolthee Pattiyakul today. Mr Sakolthee said the decision was made at a meeting between the BMA and representatives of the Sports and Tourism Ministry, Commerce Ministry, Metropolitan Police Bureau and other agencies concerned. 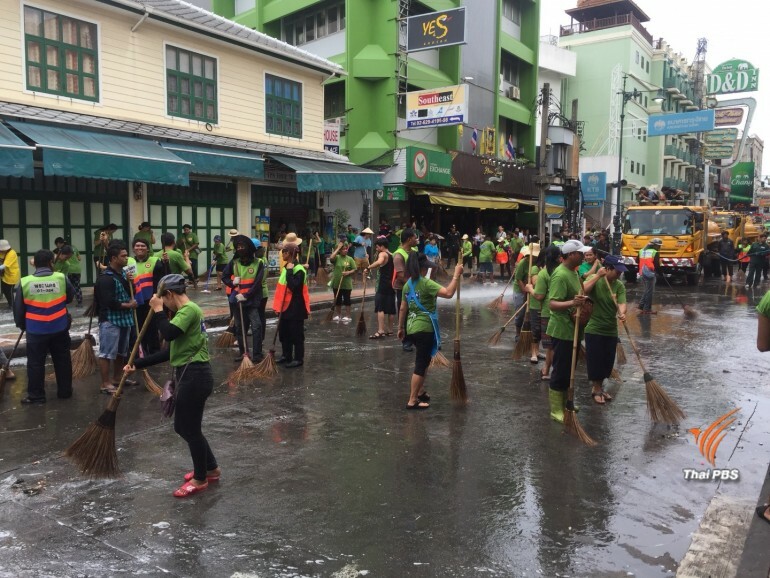 It was agreed at the meeting that vending on the sidewalks of Khao San road will be legalised under Section 20 of the law on public hygiene and order which empowers the BMA to designate areas for vending. The BMA will draft an announcement with a detail on vending spots, which will be allocated to about 200 vendors who had previously registered with the Phra Nakhon district office. The vendors will undergo a verification process. One vendor will be allocated with one space for a 1.50-metre-wide stall. The vending time will be between 4pm-midnight. The drafting of the announcement is expected to be completed and take effect in one month, Mr Sakolthee said. While the announcement is being drafted, vendors will be allowed to sell their goods on the pavements from 6pm to midnight. Phra Nakhon district officials will verify the vendors and arrange a 1.50m-wide space for each of them in 10 days. Mr Sakolthee said the meeting agreed to legalise vending on Khao San road because the road is an important tourist spot which has gained its own identity.